Why always so serious, Mr. Spock? That's the question that motivated me to attempt a SciFi series that combines space opera and humor. The ongoing result is the 'Arlo and Jake' series. 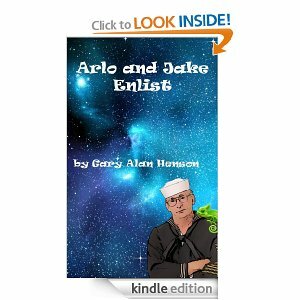 The first book, 'Arlo and Jake Enlist', is out on Amazon and Barnes & Noble. Book two, 'Arlo and Jake Galactic Bootcamp', will be out early 2013. 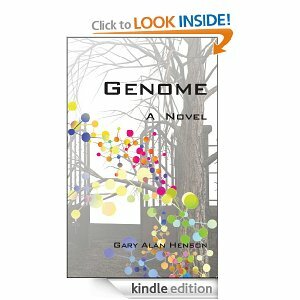 After publishing a techno/supernatural (what I used to call 'ghost') story called 'Genome', I wanted to do a series next. 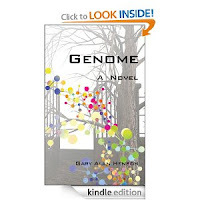 Writing 'Genome' was a blast, and I'm pleased with my first book. It's a unique story plot that combines Artificial Intelligence, DNA technology, a holodeck and some pretty cool 'spooks in the cemetery' scenes! The story was not meant to be funny, though I did manage to slip in a little humor here and there. Now, I love space operas, I really do. Like the Honor Harrington series by David Weber. Weber's universe is, at it's core, an epic depiction of British politics and colonization in space, complete with Nelson's Naval fleet and military structure. It's one of my favorite 'hard SciFi' series. Then, of course, there are all the Star Trek and Star Wars 'follow on' books. These wonderful stories let us continue to ride along with Red Squadron and wage war along side the Jedi Academy against the Sith. But... They are so serious! When I'm in the mood for it, that's great. But geez, could someone slip on a banana peel once in a while? Where are the pranks and mishaps that really happen in any military story? 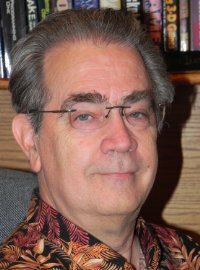 I spent 9 years in the US Nuclear Navy, serving on several submarines and a couple of floating targets. Let me tell you, boys and girls, it was essential to lighten up daily life. Otherwise you be banging your noggin against the bulkheads just for fun. Daily life on any military vessel consists of endless days of monotonous routine, punctuated by moments of sheer terror. So, I wanted to create a series with that 'cowboys in space' adventure feel but was fun and also funny. I wanted my main characters to be 'unlikely heroes', not bred from the warrior class on Klepto 4. Jake is a widowed, software geek. He has been spending his retirement sitting on his beach cottage patio, drinking beer and watching the beach bunnies stroll by. Arlo is his pet chameleon. Arlo hangs around for the flies and Jake's witty repartee. All this to say, I'm stretching myself as a writer. I want to find out if something I want to write is something that you want to read. Playing with new concepts, tweaking existing story lines and just going out to left field sometimes is what makes writing so appealing to me. Like all of life's adventures, I'll fail more times than I succeed. But that's OK. I'm trying. Thanks Nigel! Hope you enjoy. More 'Arlo and Jake' is on the way!